Afghan people are composed of various ethnicities that exist in Afghanistan, reflecting the ethnolinguistic mosaic of their homeland in Afghanistan. Large numbers of Afghan refugees began arriving in North America during the 1980s in the wake of the Soviet invasion. Some were officially designated as refugees, while others were granted political asylum. After 1989, however, arrivals have not only come as refugees but also due to reunite with family members already residing North America. This has lead inevitably to Afghans settling near each other, and in some caes ethnic enclaves becoming noticeable in larger metro areas. 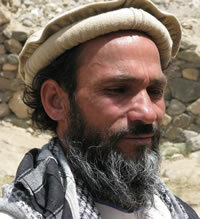 The Afghan are separate from ethnic Pashtuns and other South Asian Muslims of Pashtun descent who originate outside Afghanistan's present day borders. As such, when asked, they normally call themselves "Afghan" even when asked more questions concerning any dialect languages they may speak. An overwhelming majority of Afghan adhere to Islam. However, dress and way of life often reflects a more secular lifestyle. Moreover, the adherence of their people group identity is reinforced by watching Afghan television stations, listening to Afghan music, and eating traditional Afghan food at home. They also value their oral tradition of story telling. The stories they usually tell are about Nasreddin, Afghan history, myths and religion. As mentioned, central to the Afghan way of life is storytelling, and many stories are so well known that they can be recited by heart at family and community gatherings. Proverbs are also central the Afghan way of life. A few proverbs include (1) Do not stop a donkey that is not yours, (2) What you see in yourself is what you see in the world, (3) When man is perplexed, God is beneficent, and (4) Where your heart goes, there your feet will go. Pray for Christians who teach English as a Second Language to become friends with the Afghan, reveal through their lifestyle what it means to have a personal relationship with God, and share the message of Jesus Christ as the intimate God. Pray for Christians to encounter Afghan people of peace who will then become followers of Jesus Christ and in turn begin making disciples among their own people. Pray that churches will catch a vision to embrace the Afghan people now in North America, and in so doing those Afghan who become followers of Jesus Christ will share the message of Christ with their family and friends in Afghanistan.